Serve your classiest cocktail yet in these personalized DOF set of 4 crystal glasses. These drinking glasses makes a statement on a shelf or bar, whether in use or not. The elegant lines and beautiful design make drinking from these personalized glasses a pleasure for you and your guests. The 12-ounce size is ideal for many types of beverages. 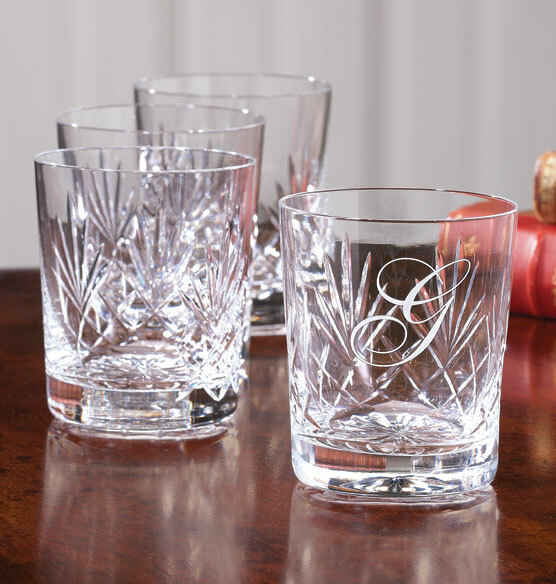 Each glass is personalized with a monogram, making this set a perfect gift idea for anyone who appreciates the appeal of fine drinkware.